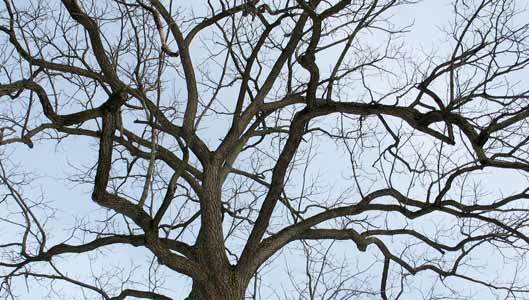 In the dead of winter, the trees stand barren. Without any budding leaves, they appear so dismal. Almost as if they are whispering pangs of loneliness. Just months prior their leaves danced in the sunlight, thriving with life. But one by one, their leaves dropped to the ground as autumn exited and winter made its grand entrance. But these barren trees in the bitter cold are a reflection of something powerful. A symbol of a deeper story that relates to each and every one of us. Don’t miss this! It’s something you’ll never forget once your eyes have been opened. 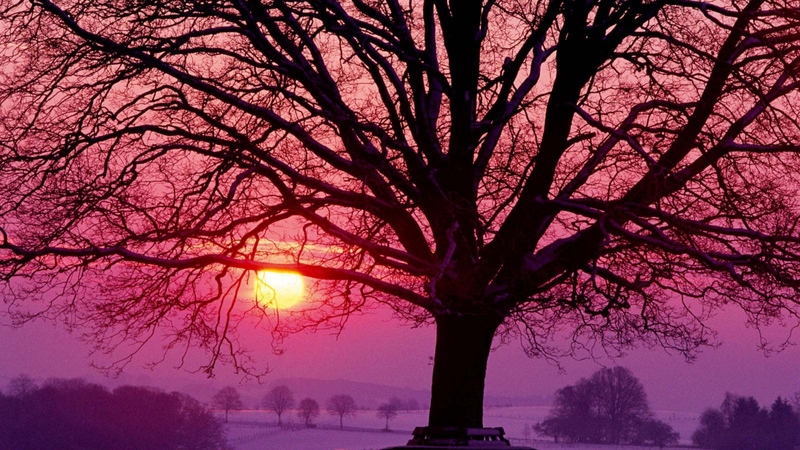 These winter trees symbolize seasons of humility. Every fiber of life seems to be disappearing right in front of our eyes. Life slows down to an abrupt halt. Just like the trees, we stand bare. The cold winds of the unexpected blow harshly deep in our souls and we feel so barren. Helpless. We can’t hide anymore. Just like the colorful leaves of autumn disappear, we’re left with nothing. We don’t feel alive. We don’t feel pretty. There’s no beauty in our days. Stripped bare of anything promising, we have NOTHING to offer. But take a closer look at those leave-less trees. There’s something intriguing about them. On a bright-sunny day, although blistering cold, there is a unique beauty that silently whispers. Faint glimmers of hope. The sunlight twinkles more brightly through those barren branches. It seems more powerful because there’s no leaves to block its path. A transcendent splendor. You can see every tiny branch, shooting in multiple directions off the main trunk of the tree. These tiny twigs you wouldn’t see if they were covered with flourishing leaves. Every. Single. Part of that tree is visible. Nothing is hidden. You don’t see the winter trees bending over to hide their barrenness. You don’t see them withering away for lack of fruit. You don’t see them cutting themselves down. What are they doing? They are standing still. Standing tall. Roots stronger than ever. They aren’t going anywhere. They must wait. In the right time, spring will come again. New buds will grow. Slowly. One at a time. The once barren branches will produce something beautiful when the season is over. This season of winter prepares them for spring. We too must wait patiently through our seasons of humility. Those times when we feel utterly hopeless. Helpless–desperate for any sign of life. 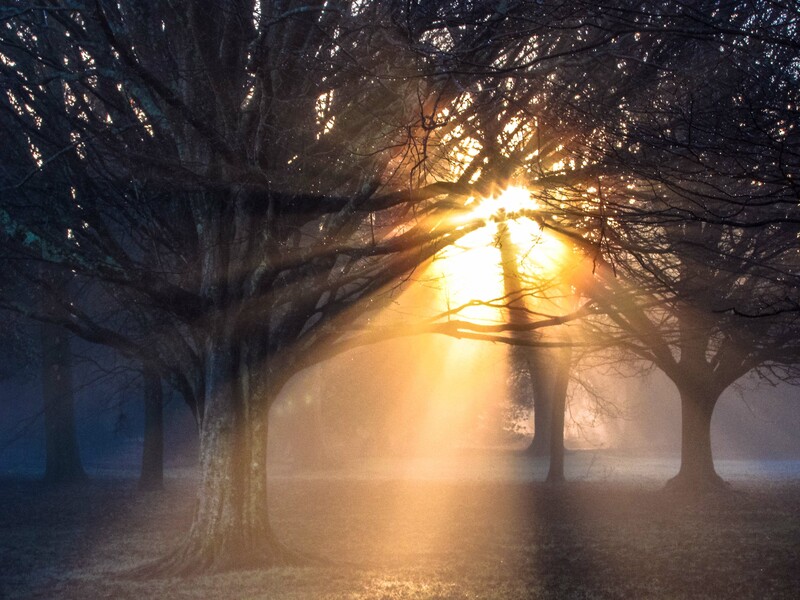 And just as the sunlight shines brighter through those barren branches, the love and grace of God illuminates more powerfully through our surrendered souls. A mysterious, marvelous beauty. When we have nothing to offer, this power is magnified immensely. For all to see. For all to be pointed towards our amazing God. I’ve learned that it’s okay to be in a season of humility. When things come crashing down all around you. No fruit. No life. Everything looks dark and gloomy. It’s okay to say God, I have absolutely nothing to offer you right now. I’m bare inside and don’t feel happy. He welcomes our seasons of humility. He beckons us to surrender everything to Him. His astounding grace and mercy is lavished on us during these times. The end result is breath-taking. A gift only He could articulately design. What about you? Are you walking through a season of humility? Do you feel barren and hopeless? Ashamed? Unworthy? Insecure? Stand still, dear friend. Stand tall like the trees of winter, knowing that your roots are in place. Growing stronger with each passing day. Although you feel stripped with nothing to offer, please know you are dearly loved by our amazing God. Let His light shine through you. Soak up the warmth of His light. Breathe in the life of His presence. He’s got you. And remember…..winter doesn’t last forever. Spring is coming. James 4:6 God resists the proud but gives grace to the humble. This is poetic, you’ll enjoy. I love this. I have shared it with my bible study group. Thanks. Love being able to write what God lays on my heart and letting Him do what he desires to do with it! Blessings to you! If anyone in your Bible study group wants to get my weekly devotionals, they can subscribe on my blog. Wow…. These keep getting better and better. God is using you in a big way!